Hello again my little fully intact readers…. Welcome to night five of the mega horror movie countdown slumber party to Halloween night! Yes, the movement keeps changing! For the rest of the month I will be sharing movie suggestions to watch this spooky October month! Sit back, pop some popcorn and enjoy that you have all your fingers and toes as we escape into our next feature. Oooh. Now we’re getting into the early 90’s. Scary! Most importantly we are watching a movie starring Jeff Fahey. I guess when he’s not mowing lawns (see Lawnmower Man) he’s getting an arm sewn on — Frankenstein style – that once belonged to a serial killer! The film has spectacular effects and an exciting gory conclusion. It is the perfect film to explore the 90’s and also gives you an aching feeling inside your limbs. 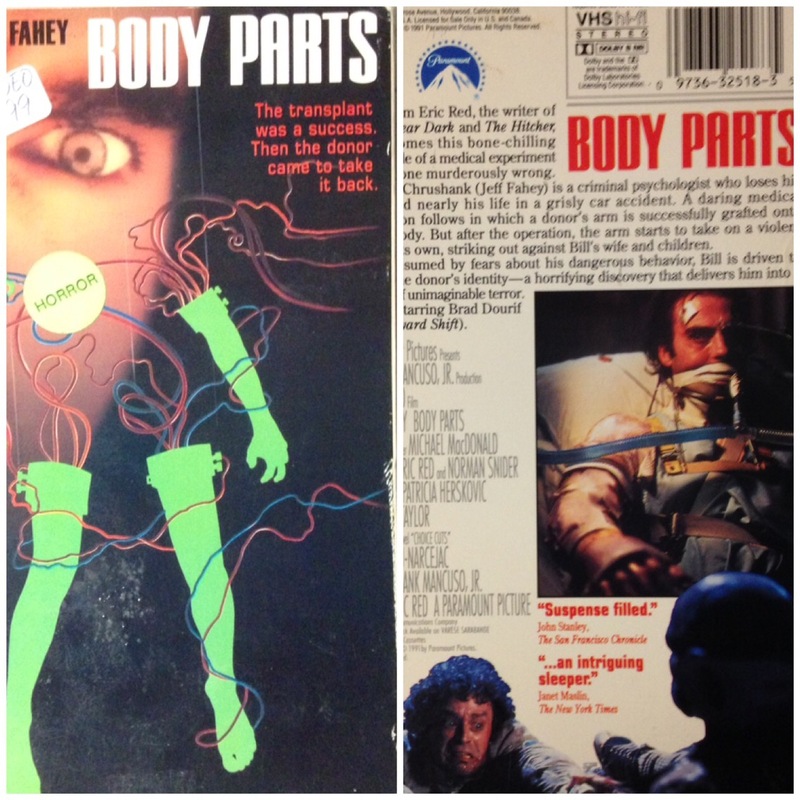 This film is a great example of body horror as it explores fears of what could happen (in your nightmares) to your body when an invasive medical procedure takes place. In this case, that a donated appendage could possess you and turn you into a cold blooded killer. It also plays with our suspicions of what doctors recomend as the right course of action to any health ailment. Doctors can be the scariest of all monsters and most of us fear the possibility of a corrupt doctor. A good snack to have during this would not be spaghetti, think popcorn, it’s a movie after all. As for Halloween Costumes if you’re not already dressing up like the Lawnmower man you could just be one huge amputated arm. Justa unique silly but gory costume idea! See you tomorrow for a FRIGHTFUL DOUBLE FEATURE!